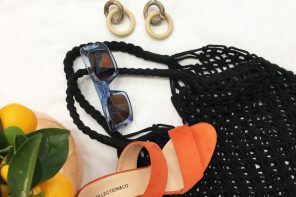 Founded in 1978 in Molvena, Italy, Diesel has long been established as one of the go-to designers for quality, fashion-forward clothing for men, women and children. They favour premium casual wear which celebrates individuality and self-expression. In more recent years, Diesel have also branched off into designing fashion accessories including handbags, jewellery and watches. 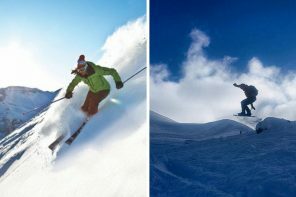 Their eyewear has also been a huge hit too, and SelectSpecs are fortunate enough to stock an extensive range! Keep reading to discover our top picks from the Diesel collection! These gorgeous glasses would be the perfect option to add a touch of feminity and glamour to your everyday look! 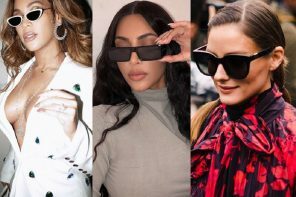 They feature a subtle cat-eye shape and shiny black frames, which would look gorgeous worn with a suit for work or even just with jeans and a jumper for casual wear! They also feature subtle gold detailing and branding on the temples which lend the pair a luxury feel. This style is also available in dark tortoiseshell colour – be sure to check it out! 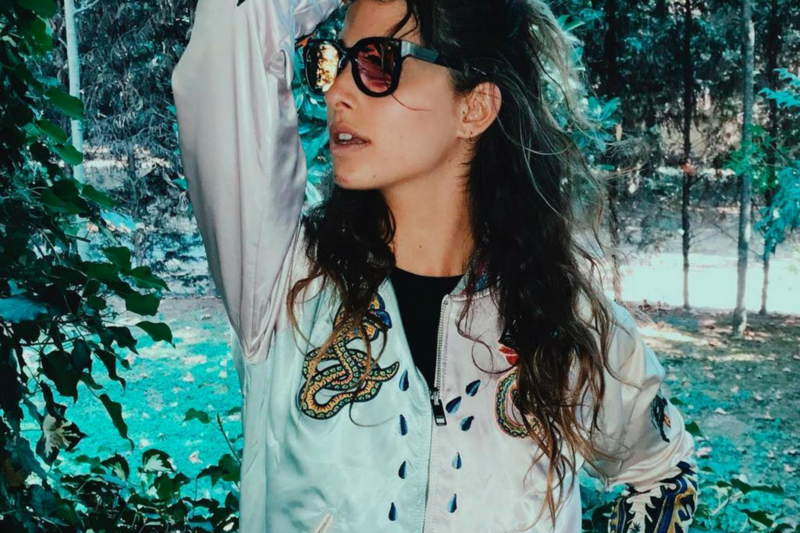 The Instagrammer below looks fabulous in her pair of Diesel glasses! These round glasses are right on trend this season. The round retro styling is big news for 2017 and 2018 and is THE style to be seen in if you want to stay in vogue. 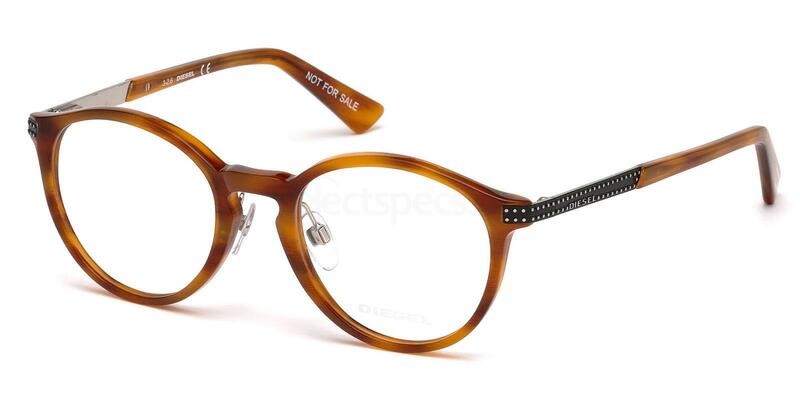 This pair features tortoiseshell coloured frames, silver metal detailing and studded decoration along the temples for a stylish modern twist. This style is also available in black if this is more your thing. The Instagrammer below looks great wearing this same style in the black colour option. These trendy men’s sunglassess would be the perfect option to wear during the sunnier days of Autumn and Winter. We love the unique rock and biker vibes which these sunglasses give off, with the studding detail along the top of the frames giving these sunnies an individual twist. 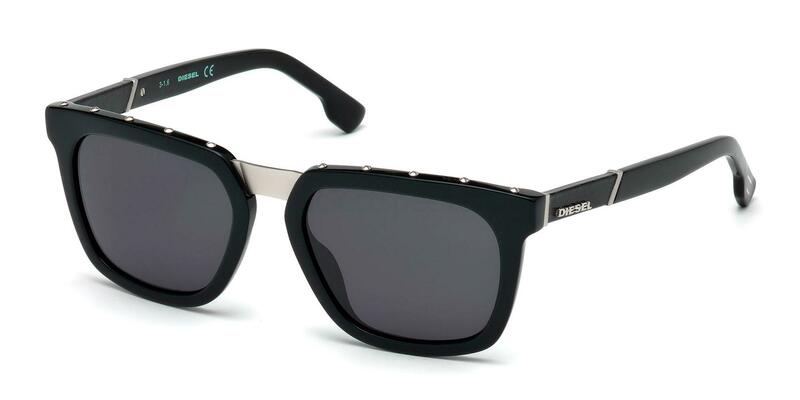 They also feature silver detailing on the temples and the nose bridge, which lend this pair a cool, luxury feel. Check out the guy below wearing this same pair of sunglasses. This style is also available in two other trendy colours. If you would like something a little different, then how about these gorgeous retro wayfarer style sunglasses? They feature a blue denim frame which will totally add a dose of fun to your outfit. They also feature orange mirror lenses, which not only look cool but also help to protect your eyes from dangerous levels of glare. This is important if you are near snow or driving on wet roads. Check out the model below looking fab in her pair. Another pair of colourful sunglasses from Diesel here. 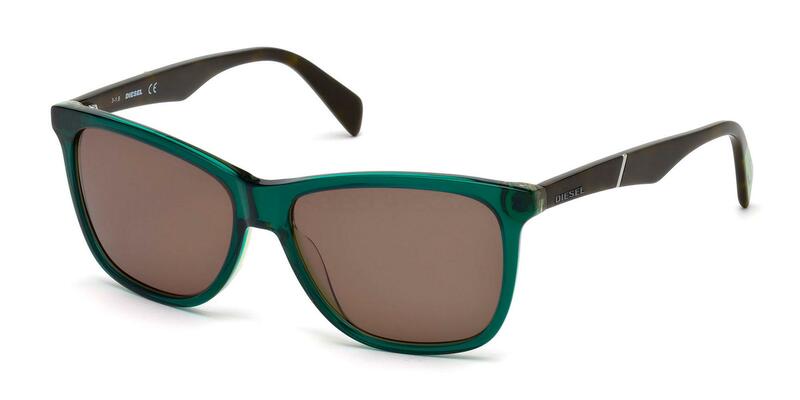 How cool and trendy are the green transparent frames and the contrasting brown temples? 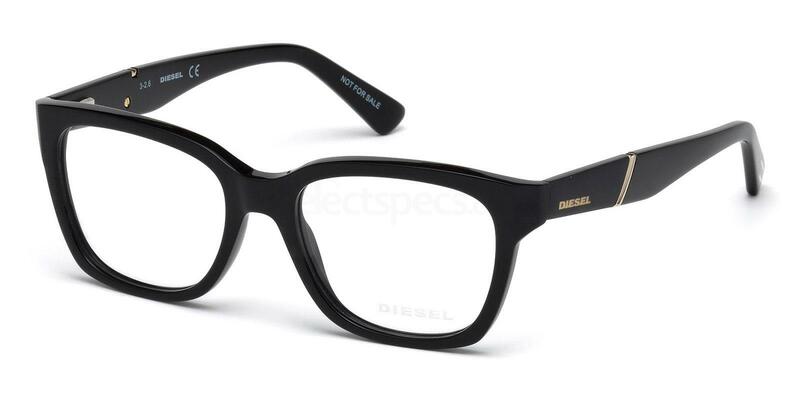 They feature a classic retro wayfarer design which is very flattering on so many people and very easy to wear. Be sure to check out the other four fabulous colours too. Check out the Instagrammer below rocking his pair of green Diesel sunnies! Take a look here for some top tips on how to look after your new eyewear!